Whether working with The Terex 760 Backhoe or Terex 860 Backhoe, you can be sure that you are working on one of the best built backhoes in the industry while spending much less than most other manufacturers. Monster Tires understands trying to keep costs to a minimum and that contractors need to spend more time on their Terex Backhoes and not working on them. Monster Tires provides extremely affordable Terex Backhoe Tires with cheap and quick shipping. We have the largest in stock selection of Terex Backhoe Tires, to help you minimize downtime. 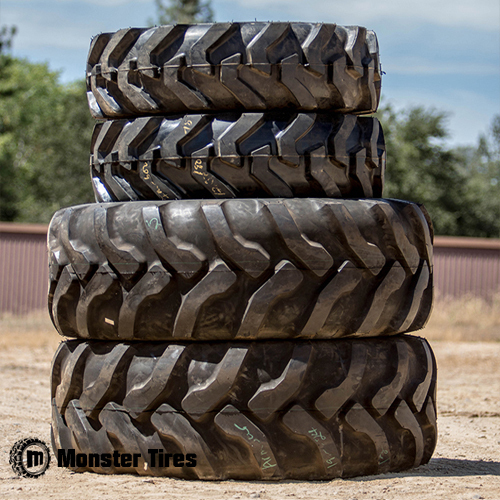 Trust Monster Tires for every make and model Terex machine on the job site. We carry the best selection of TX760 – TX860SB Backhoe Tires, TLB Model Backhoe Tires, 860 – 860SB Backhoe Tires and 760 – 760B Backhoe Tires. With our wide range of Terex Backhoe Tires and our monster savings, rest assured with Monster Tires, your Terex machine will have the correct tires you need.